The Outback Bowl kicked off another busy year in Tampa Bay, with loads of new things to see, do and eat. Lights on Tampa (Feb. 20-21) brings an explosion of creativity to Curtis Hixon Waterfront Park and Kiley Gardens. 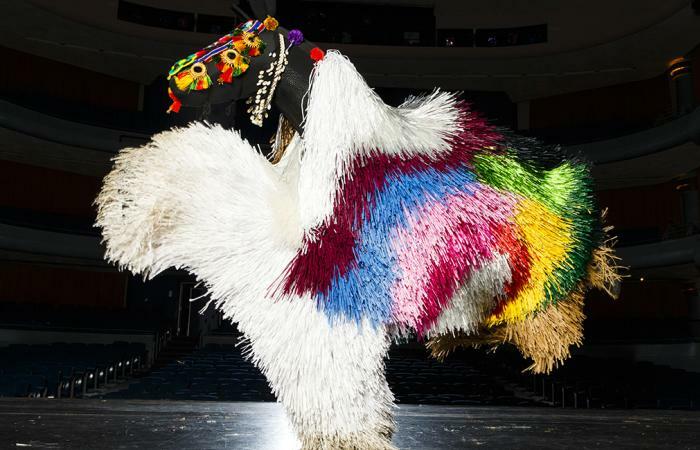 Chicago artist Nick Cave&apos;s "Heard" performance piece will take center stage during the weekend festival. The show featuring dancers costumed as horses along with local dancers and musicians. Also on the schedule Sky Striker, an interactive lighted display that turns downtown&apos;s cylindrical Rivergate Tower into a "test of strength" carnival game complete with a mallet and a bell on top. Busch Gardens Tampa Food & Wine Festival (weekends, March and April) adds some flavor to the popular theme park&apos;s entertainment line up for the spring. The Food & Wine events will be included in park admission. The Colossal Curl combines corkscrews, waterfalls and a white-knuckle ride as the tallest water ride at Busch Gardens Tampa&apos;s Adventure Island water park when it opens for the summer. Tampa Theatre (Sundays, January and February) cuts footloose. Break out the Members Only jackets and Psychedelic Furs cassettes for eight weeks of classic 80s movies. Abe Froman, the sausage king of Chicago, gives this festival two thumbs up. Ohhhh, yeaaah. The Florida Aquarium celebrates its 20th anniversary on March 1 and continues the party throughout the year with special events. Coast Bike Share expands its rental system of sky-blue bikes spread across downtown, Ybor City, Hyde Park and nearby neighborhoods. You can buy a membership or just swipe your credit card for a short-term pedal-powered trip around town. The Tampa Riverwalk (March) opens its last major segment, Kennedy Boulevard Plaza, just in time for Mayor Bob Buckhorn&apos;s annual St. Patrick&apos;s Day party. The new segment of the 2.5-mile riverwalk will skim the surface of the Hillsborough River through the heart of downtown. Coppertail Brewery Co. (@coppertail) opens a new, larger tasting room in early 2015 at its brewhouse on Adamo Drive at the eastern edge of Ybor City. Cigar City Cider and Mead, created by Cigar City Brewing Co. founder Joey Redner, takes Tampa Bay&apos;s growing microbrew scene is a new direction with its Ybor City operation. Hablo Taco (January) brings upscale Mexican food to Channelside Bay Plaza ahead of a major renaissance promised by new owner Jeff Vinik. Lufthansa (September) begins direct flights between Tampa International Airport and Frankfurt, Germany, strengthening Tampa Bay&apos;s connection to Central Europe and beyond. Bass Pro Shops (late 2015) opens its first Tampa Bay store in Brandon, complete with the chain&apos;s trademark 15,000-gallon fish tank for practice casting. Top Golf and its new Brandon location turns time at the driving range into a multistory, high-tech, all-day event. Track your ball thanks to the embedded chips to see who has the best technique then grab lunch and a cold one. Tampa Premium Outlets (late 2015) puts discount shopping within 20 minutes of downtown when it opens its new complex at I-75 and State Road 56 in Wesley Chapel just in time for Christmas.